Who Is This Zeke, And Why Does He Love Film So Much? “Community”. It’s a buzzword these days, for sure. Here at ZekeFilm (there’s no “s”! ), our earnest tagline has always been “Community Through Cinema”. 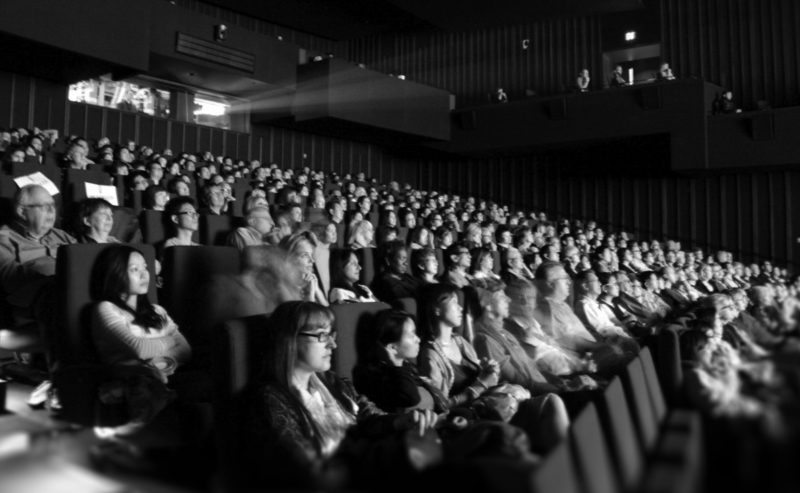 This is in service of our commitment to furthering filmgoing as a communal experience (every time a crowd of strangers gathers in a multiplex auditorium to take in the same film, a community, however temporary, is happening), as well as our role as encouragers to those who wish to take this notion further. For those who desire not only access to fine and detailed content about the movies, but to use such content in service of leading their own group film discussions, this “online toolkit” is at your disposal. Gather your friends, your family, your art groups. Watch a great movie together. Lean on our own reviews, features, interviews, and personal write-ups to enhance understanding. Engage the movies on their terms, but on your own level. And have a great time with it! Good movies can take us to a myriad of places, and understanding them isn’t always easy. Just as in the Old Testament, when the prophet Ezekiel was confronted with strange and bizarre visions he had to wrestle with, so too, for us, can the filmmaking medium be initially foreign, dense, odd or baffling. Being a part of the pop culture conversations, the film world conversations, and water cooler conversations doesn’t mean arriving with the answers, but rather, knowing where to look in order to ask the best questions. The Ezekiel analogy admittedly breaks down pretty quickly beyond this point, if not sooner. But yes, that’s where we got the name. Some of us really, really, really like to watch weird movies. Even as they are built for financial profit as part of a business bent on pacifying the masses, we believe nonetheless that film remain a viable art form, and can in fact, from time to time, enhance our lives. They can lead us to empathy for individuals, people-groups, nations and even planets we’d previously not considered. They can edify, provoke, amuse, and of course entertain. They can spark our imagination, or make us want to argue with them. Even the bad ones can be handy as cautionary tales of the inadvertent variety. Their greatest sin isn’t to be disagreeable in message, but to be boring. Thankfully, each year, there is a new crop of highly worthwhile cinema that is anything but boring. The contributors at ZekeFilm live to hash this stuff out. Read our stuff, and see who’s work you’re inclined to stick with. And click around. You’ll be glad you did. Anyhow… Community through cinema. It’s more versatile than you think. Whether you’re going to your local theater to catch a new flick on the big screen (still the best way to experience a film! ), or watching classic movies in the comfort of your own home; whether you’re heading up some sort of regular movie club, or you are by yourself on the couch, we say that you are part of a community. Even in watching movies alone, the community of nagging voices in your head can hopefully find commonality in a satisfying movie! No “s”. ZekeFilm was established in 2011 by Jim Tudor, Sylwinn Tudor, and Dave Henry. Today, Jim and Sylwinn continue to run the organization, and are excited to see it grow and change. Share your experiences about the movies, your thoughts on them, and your thoughts on the content you find here. You can join our Facebook Discussion Group to be a part of our online community. Start your own movie conversation today! And welcome to our weird community.